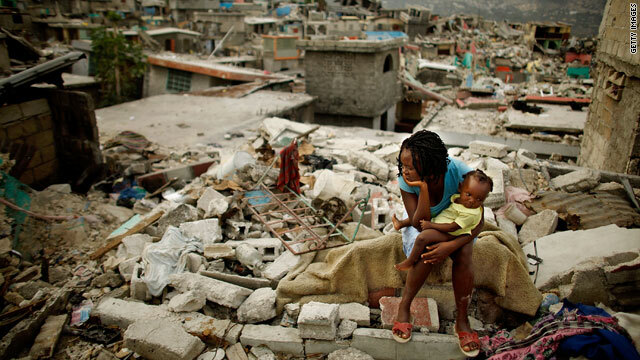 We are all aware of the devastation caused by the earthquake Haiti. Many people died, many buildings were destroyed, but the creative spirit of many Haitians is still alive. Amid all of the chaos, destruction, and loss artists are finding hope through their work. Dorvelus Gerald, for example, has used painting as a coping mechanism. Gerald, 50, said he began [painting] about four days after the earthquake. The quake destroyed his mother’s house in Port-au-Prince, the capital, where he normally lives and works, and he was forced to take refuge in this little town atop terraced hills about 15 miles to the southeast. He lost most of his oil paint in the rubble, he said, and could resume painting only after a friend gave him some salvaged tubes of acrylics. “He wanted to give me some money,” Gerald recalled. “But I said I didn’t want anything but paint. Just give me paint.” (The Washington Post. Cody, Edward. February 17, 2010). Louis Saurel is another artist who is using painting to heal himself. In addition, he wants his art to heal the next generation of Haitians. I’ve never experienced anything like the Haitian earthquake, but my own artistic expression has helped me to deal with some pretty tough situations. Art soothes the soul and makes sense of the world when nothing else does. I’ll leave you with this video from Manno Charlemagne, “Ayiti Pa Forè.” Charlemagne has been using his music to lift Haitian people out of despair for years. I hope that his music will lift your spirits today. Keep Haiti in your thoughts and prayers.